In an episode where it could’ve been all about how everybody mourns Biscuit, the show eschews a kind of tragedy voyeurism in showcasing their emotional turmoil. This is reflected within the show through Yukinojo advising Merribit not to distract them, and let them hash it out on their own. Tis a different reality than my expectation somebody like Mika is gonna need a hugout because of last week’s death. What is shown instead is TWICE as better as any of my predictions of Mika’s character. He isn’t the Simon or Brandon Heat I anticipated he would be, and his fealty to Orga continues its reveal of not being a thoughtless endeavour. More importantly, his confrontation with Orga at the end unveils how he KNOWS his influence on Orga as an individual, leveraging the most important promise of show to pull the guy out of his funk. In short, Mika forces Orga to be cool. Yeah, it could be said this kind of psychological play by Mika could be used negatively, but then again, this is Mika. His intervention is timely too, for I believe this is the first time since the second half began him and Orga had a meaningful moment together. 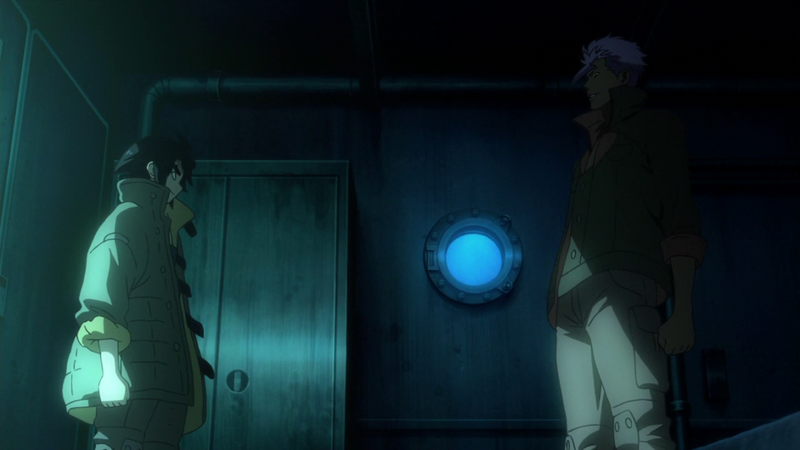 With Biscuit gone, Orga might need that sturdy foundation who is Mikazuki Augus. Other than that, machinations abound in this episode. It turns out Maccy’s father has his hands deep into the Arbrau election intrigue to further solidify his power in the Seven Stars, a plan which also includes sponsoring people like Carta Issue within Gjallarhorn and marrying into the Bauduin family. This explains why Makanai is in exile, never mind the scene in Episode 18 which set up said intrigue. Is this just covering his bases best he can, or is the Fareed family must weaker than it seems? Who knows, but I do know I appreciate a return by regular Maccy (instead of Kamen Maccy) to exposit further world details by way to conversation with Galli-Galli. It turns out the creation of the Gundam Frames, never mind the Alaya-Vijyana System, are the result of a borderless organization dedicated to ending the Calamity Wars, which would eventually become Gjallarhorn. 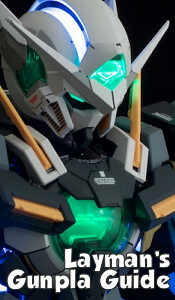 Think Celestial Being from Gundam 00 only with a more hands-on approach, a greater susceptibility to human failings, and instead of GN Drives being installed in the back of mobile suits, intrusive mechanical interfaces systems are shoved into people’s spines. I kinda like that, an actual organization that started off with great intentions then slowly grew corrupt, unlike the Titans and A-LAWs who were evil from the start. I also appreciate their succumbing to human fraility, unlike Celestial Being or *hurk* Terminal from Gundam SEED Destiny. Maccy intends to change that corruption, and is willing to indulge Galli-Galli and Ein with promises to take down Tekkadan even as he supports Kudelia who has grown more focused since Dort. Who is he banking on really? His team or Tekkadan? What happens if who he banks on the most dies because of the other? Quite frankly, I don’t think Maccy even has an answer. He has a goal, and will use whomever he sees as a power player to make it so. If it fails to him, it fails, and he’ll readjust from there. The thing is Tekkadan knows of the existence of that game, while Galli-Galli and Ein don’t. Kindof exciting all these machinations, and we only have three more episodes to go. Oh very dear. I think this is the first time it has been directly stated that 72 different Gundam Frames exist in the universe outside of press releases and written plot details. Whether that means the other 69 other Gundam Frames aside from Barbatos, Kimaris, and Gusion will be shown is up for debate though. The OP was not altered to excise Biscuit at certain points. Huh. I like how the disembarking in Anchorage went off without an event, and that we’re on our way to Edmonton. Granted there’s gonna be a train battle, but I don’t think we’re gonna be detoured AGAIN at this juncture. After all of that in space and it being on this last leg? It’d be foolhardy.